Come this offseason, Ben Cherington will be looking anywhere and everywhere to upgrade his starting rotation. The New York Mets might be able to help out the Red Sox. The Mets need outfielders. The Red Sox have an excess of outfielders. Possibility for a trade? Sounds like it. With Matt Harvey expected back, the Mets rotation will be overflowing with starters. Barolo Colon, Jon Niese, Zack Wheeler, Dillon Gee, Rafael Montero, and Jacob deGrom will all be vying for a spot in the rotation. 7 starters for 5 spots. If my math is correct, this leaves two starters who are the odd men out. The Mets have two options here. They could either keep the pitchers for depth or trade one of them to address another positional need. Outfield is the biggest positional need for the Mets. Other than Curtis Granderson, the Mets outfield is filled with very weak hitting players. The Mets could be interested in potentially Daniel Nava or Shane Victorino, both of whom may be left without a spot in Boston. Either one of these outfielders would provide the Mets with a huge boost. 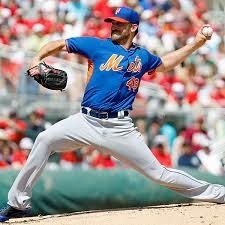 If the Mets choose to go with cheaper, younger alternatives, Jon Niese could be forced out of the rotation. Although Niese could be the odd man out, it would not be due to his lack of production. The past three seasons he has posted ERAs of 3.40, 3.71, and 3.40 again. Niese could be enticing to the Sox since he is a southpaw. They currently don't have a left hander in the rotation. He is also just 27 so his best years may be ahead of him. Niese is also under team control for a while. He is under contract through the 2016 season and has team options for the 2017 and 2018 seasons. His contract is affordable as well. His salary peaks at $11.5 million if his option is picked up for the 2018 season. A lefty who has posted ERAs in the mid threes, is controllable and affordable? Sounds like my kind of player. Another starter who could be edged out is Dillon Gee. He is an innings eater who could fill in nicely as a back of the rotation starter here in Boston. Gee has posted ERAs of 4.10, 3.62, and 4.00 over the past three seasons. He is another player who is affordable and controllable. Gee is not eligible for free agency until after the 2016 season. He is only 28 and could be entering the prime of his career. A change of scenery, especially coming to a team with a former pitching coach at manager, could help Gee immensely. While Gee and Niese wouldn't be the "wow" additions most Red Sox fans are hoping for, either one of these two pitchers would help the Sox to solidify the rotation. As the offseason approaches, it would be wise for these two teams to talk and try to work out a deal as each team could greatly help the other to improve. Got another Mets' player the Sox could target?